Nissan Chairman Ousted Amid Investigation Over Financial Misconduct Carlos Ghosn, who also chairs Renault and Mitsubishi, is widely admired for saving Nissan from bankruptcy nearly 20 years ago. Now he has been accused of underreporting income and reportedly arrested. Carlos Ghosn, then Nissan's chairman and CEO, delivers a speech in Las Vegas in January 2017. Ghosn was widely celebrated for reviving Nissan after the company neared bankruptcy in 1999. Now he's been removed from leadership at the company after an internal investigation found financial misconduct. Carlos Ghosn, the powerful chairman of Nissan renowned for reviving the company nearly two decades ago, has been removed from his position after an internal probe found he underreported his income, the company says. "[N]umerous other significant acts of misconduct have been uncovered, such as personal use of company assets," Nissan wrote in a statement. Japanese media report that the legendary auto executive has been arrested, which Nissan's CEO appeared to confirm during a news conference. Nissan says its monthslong investigation into Ghosn's conduct was triggered by a report from a whistleblower. Another member of the board of directors was deeply involved in the misconduct and has been removed, according to the company. Ghosn, in addition to serving as chairman, was the CEO of Nissan from 2001 to 2017. He's also the longtime CEO and chairman of Renault in France and the chairman of Tokyo-based Mitsubishi Motors. If you're counting, yes, that means he runs three major auto manufacturers simultaneously. The three companies are not merged, but Ghosn united them in a formal partnership, and he serves as the CEO and chairman of the alliance. 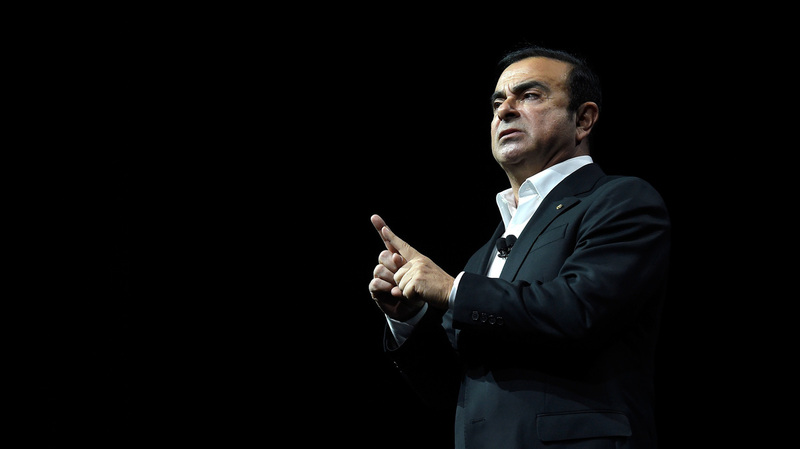 It is not yet clear whether Renault and Mitsubishi also plan to remove Ghosn from his leadership positions. French President Emmanuel Macron said Monday that it was "too early to comment on the reality or materiality of the accusations, about which I have no further information," Reuters reports. The French government is a stakeholder in Renault. Ghosn, who was born in Brazil and educated in Lebanon and France, has been a widely admired leader at Nissan. He took the helm shortly after the company nearly went bankrupt in 1999 and orchestrated a remarkable turnaround. Cutting costs and eliminating factories, he dragged the company back to profitability. Long a believer in electric vehicles, he went on to push Nissan to develop the Leaf, a successful mainstream electric car. Greeted with skepticism when he took over, Ghosn has since become known as "Mr. Fix-It" and "Le Cost Cutter." He was even portrayed as a superhero in a Japanese manga. GM and Ford reportedly courted him, hoping he could bring his magical touch to Detroit. As Ghosn grew more and more powerful, his dominance of the Renault-Nissan-Mitsubishi alliance did not raise eyebrows. Rather, his hand at the helm comforted investors and observers wondered whether the alliance would survive Ghosn's eventual departure. And news articles on his executive roles mostly focused on how he managed his jet-setting triple duties. Now Hiroto Saikawa, Nissan's president and CEO, is sounding a different tone. At a news conference Monday, he said the concentration of power in one person led to the misconduct, according to Bloomberg reporters. And Saikawa emphasized that Nissan's accomplishments — long attributed primarily, if not single-handedly, to Ghosn's leadership — were the result of efforts across the organization.